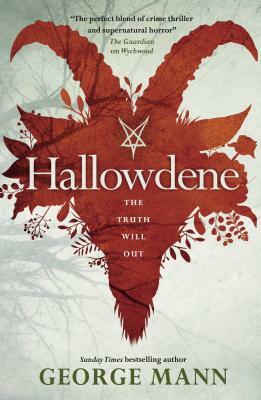 Former London journalist Elspeth Reeves is trying to carve a new life for herself in the sleepy Oxfordshire countryside, until she's sent to cover the excavation of a notorious local witch's grave. Three hundred years ago, her name mixed up with murder and black magic, Agnes Levett was hanged and then buried under an immense stone, to prevent her spirit from ever rising again. Elspeth investigates, but soon finds there is far more to the old tale than meets the eye, as the surrounding area is rocked by a series of mysterious and brutal murders, all of people somehow connected with the dig. She and her childhood friend DS Peter Shaw race to uncover the truth, but secrets lain buried for centuries are not easily discovered. George Mann is the author of the Newbury and Hobbes and The Ghost series of novels, as well as numerous short stories, novellas and audiobooks. He has written fiction and audio scripts for the BBC's Doctor Who and Sherlock Holmes. He is also a respected anthologist and has edited The Solaris Book of New Science Fiction and The Solaris Book of New Fantasy. He lives near Grantham, UK.